A must-go for anyone living with Parkinson’s Disease and their caregivers, the Parkinson’s Update luncheon promises a comprehensive update on the latest medical research, medications, and techniques for combating Parkinson’s Disease followed by a Q&A session with experts. In addition to Armstrong, attendees will hear from Sweat Therapy Fitness Owner/ Founder Kim Bibeau. 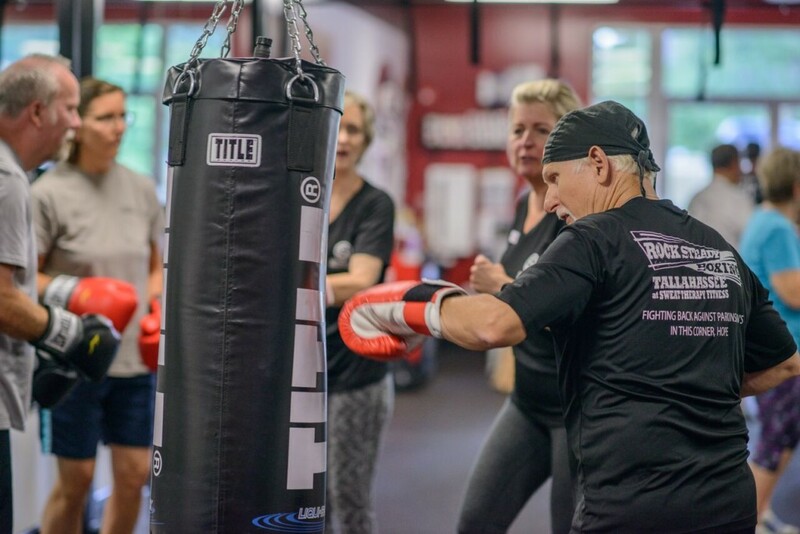 Certified in the Rock Steady Boxing Method designed to slow the progression of Parkinson’s Disease, Coach Kim helps those with PD fight back against their symptoms through non-contact boxing-based workouts at her Tallahassee fitness center. Adapted from training used by professional boxers, Rock Steady Boxing workouts emphasize gross motor movements, balance, core strength, and rhythm to slow the progression of Parkinson’s symptoms and improve the ability to perform activities of daily living. Rock Steady Boxing at Sweat Therapy Fitness has 30+ participants of all ages, genders, and stages of PD, as well as four Rock Steady Boxing certified coaches. Tickets are required to attend Parkinson’s Update and must be purchased before September 10. Admission is $20 per individual or $35 per couple and includes a catered lunch.